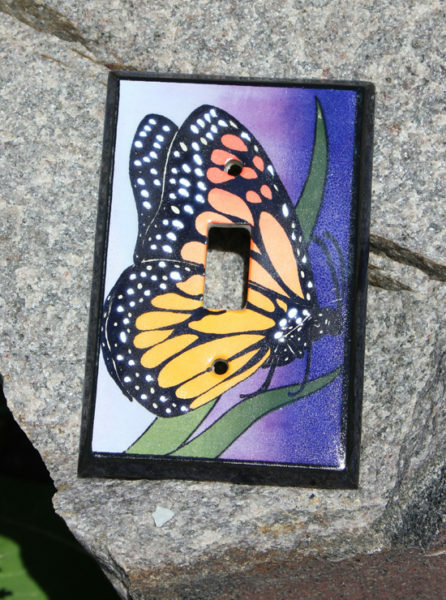 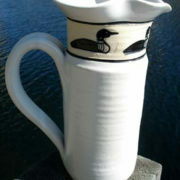 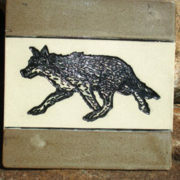 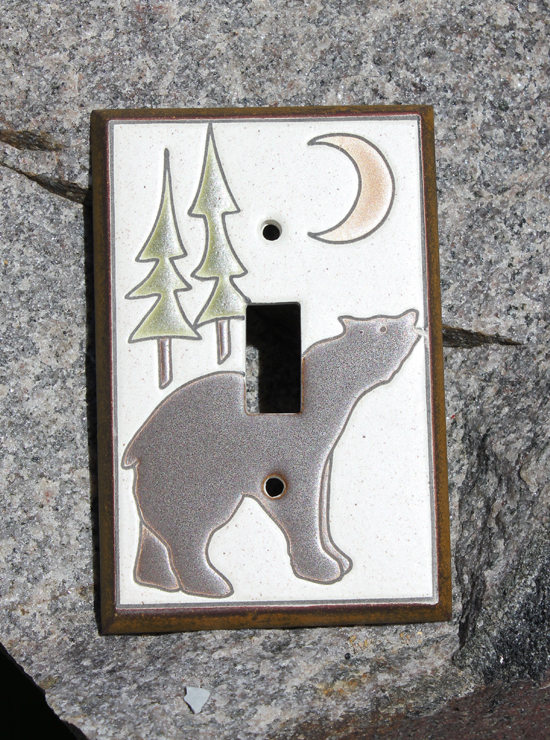 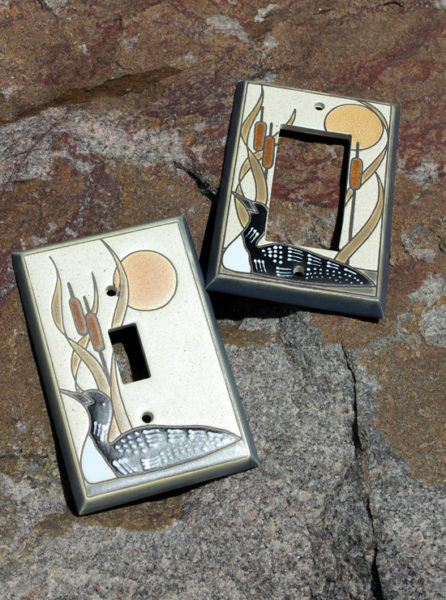 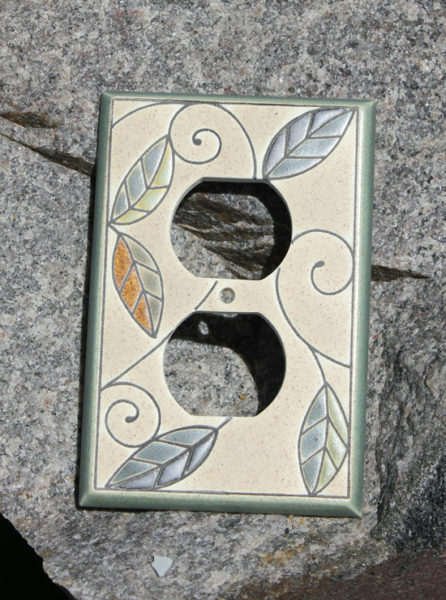 These distinctive switchplates are produced by a small family-owned ceramics company in Ontario. All of the switchplates are CSA (Canadian Standards Association) approved and they fit on standard switches in North America only. Extra-length nylon screws are provided with each one, as they are less likely to crack the ceramic than metal screws. 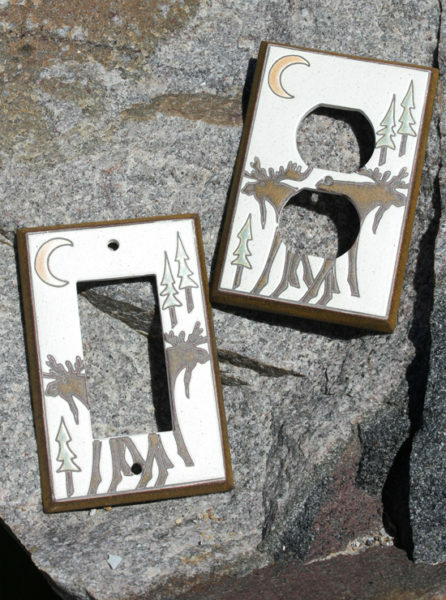 These switchplates are thicker and slightly larger than the typical plastic one (and much nicer!). 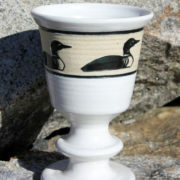 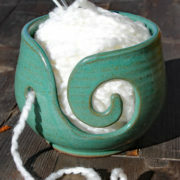 Choose from among several styles and designs.